Dealing with infidelity is a situation you can only hope you will never find yourself in. Unfortunately for more and more couples, this is a harsh reality that they are faced with or might be in the future. When infidelity is discovered, emotions run wild and many decisions are made that will later seriously hurt the partner that was cheated on even more than what it could have been if handled in a more rational manner. And guess what, it sounds easier than it really is! If there is one thing to understand, that is that you will be filled with emotions ranging from anger, to rage. For many, there are feelings of arousal of thoughts of their loved one with someone else. The roll-a-coaster ride of emotions can almost drive anyone insane. The self control we normally have over our emotions, are replaced with impulsive actions that can leave you in a precarious position. The point is, if you have to deal with infidelity, decisions should be made cautiously. Your life can change in major ways, especially if children are involved. Take it slow, time is your ally! 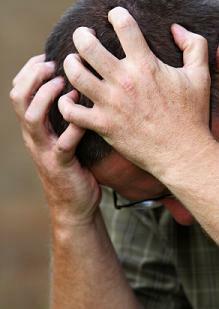 There are infidelity counselors available that you absolutely should not be ashamed to seek their help. It is not something you have to go through by yourself. Decisions will have to be made, but make sure you are mentally at the stage to make the right ones. Do you leave the cheater without ever looking back? Do you tell the children what happened? Do you tell your friends what your partner did to you? These are all probable questions that you will be faced with, and all of them can be answered differently and still be the right decision depending on the particular situation of the couple involved. If you find yourself overwhelmed with dealing with infidelity, it is highly recommended to consult with an infidelity counselor. You ARE really worth it, and in some cases, your relationship is STILL worth it as well.